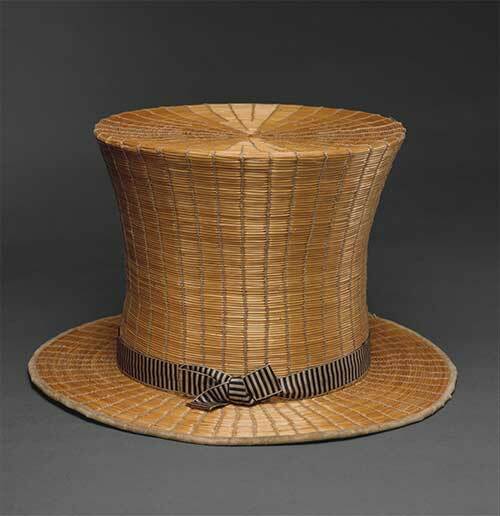 What Hetherington designed was a modified riding hat of the day, widening the brim and lengthening the top area. 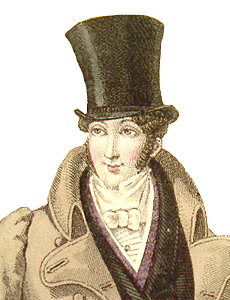 In 1823, Antoine Gibus came along and modified it even more to a collapsible opera hat; which made traveling with it much easier and during the opera could be stored flat, under the seat. 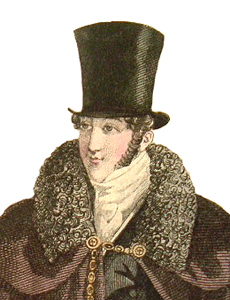 It was not until 1850 that the top hat really took off when Prince Albert starting wearing it in public and it became the fashion rage. 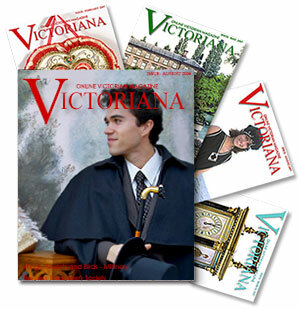 The Victorian top hat was really making a statement, not merely being worn as part of a costume. Gentlemen were simply saying they were important and classy. 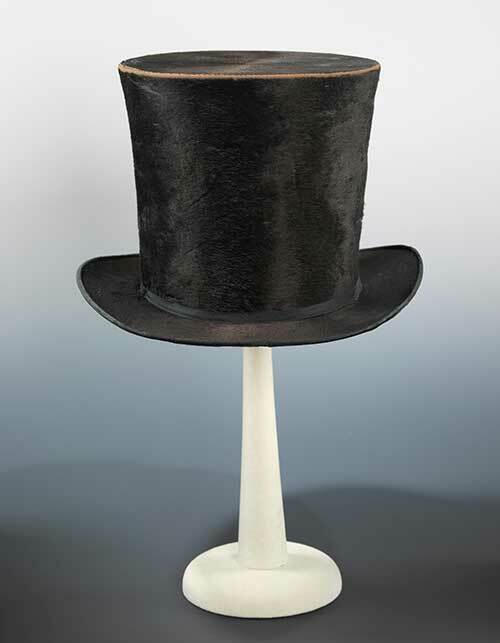 By 1900 the top hat was made with silk and worn only for special occasions, such as weddings and dances, as we commonly see it worn today. However, there was a great top hats resurgence in the 1930s when Fred Astaire, Gary Cooper, Marlene Dietrich and others, brought it back in favor with motion pictures. 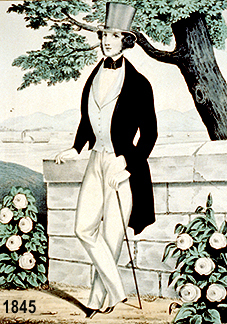 Every affluent American had a top hat and black tie and tail. 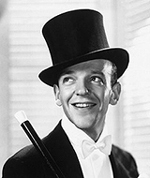 Even the French and English rallied to wearing top hats again, after watching Astaire’s movies. 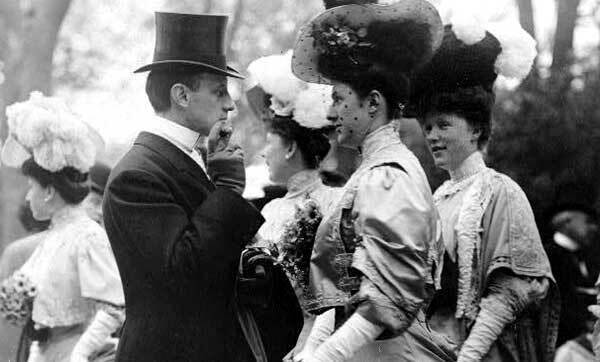 You may have seen vintage pictures with women wearing top hats. 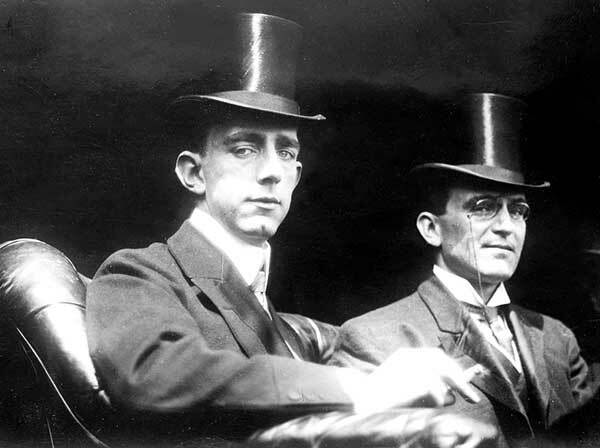 But those top hats are usually riding hats which the original top hat was styled from. 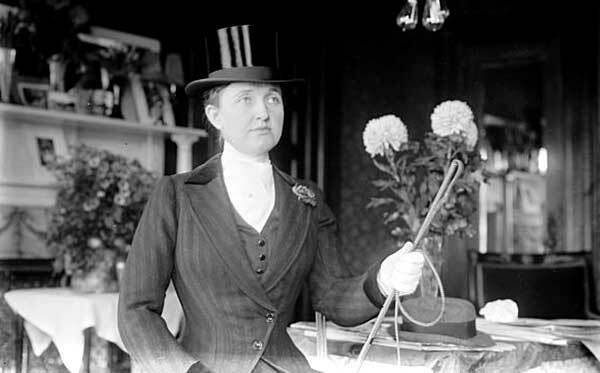 You may be familiar with the picture of Spokane’s own May Hutton wearing a top hat in the early 1900s where she is dressed as a man and ready for a costume party. 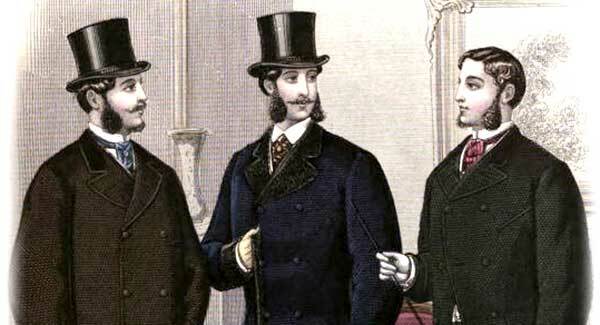 From 1850 to 1900, men wore top hats for business, pleasure and formal occasions—pearl gray for daytime, black for day or night—making its wearer feel taller, handsomer and suave. 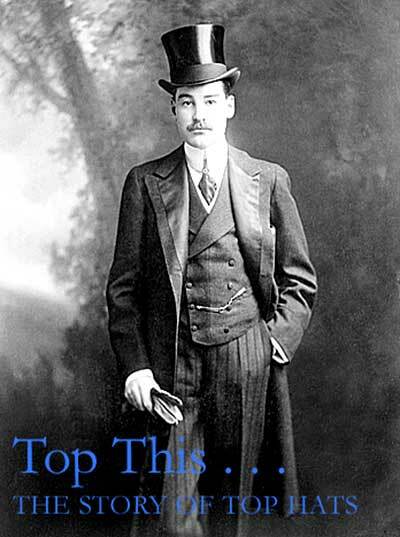 If men did not don a top hat you can bet they had some style of hat on—it was a demanded fashion. Men, rich or poor, would not be caught dead without a hat on. Even into the 1960s, men still wore hats for every outdoor excursion, just as women did, which is a whole other story to be explored at a later date by this author. 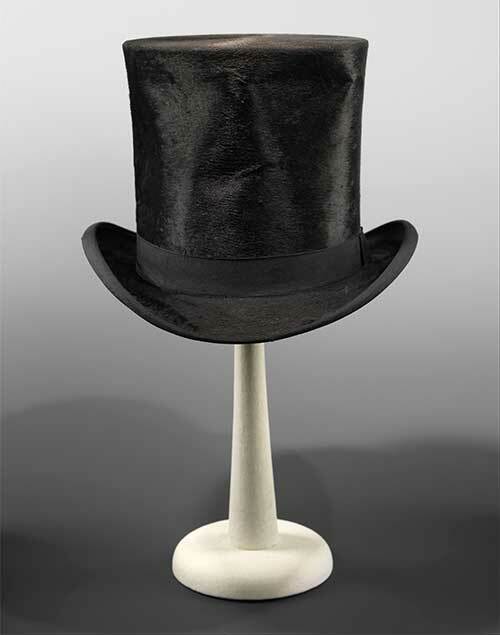 One of the Smithsonian Institution's most treasured icons is Abraham Lincoln’s silk stove pipe top hat, worn to Ford's Theatre on the night of his assassination in 1865. 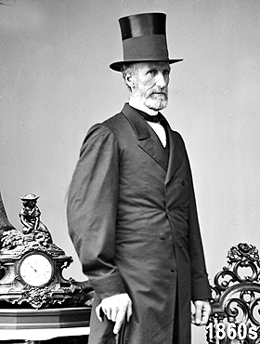 As a lawyer, he was known to tuck important papers, court notes, and contracts in his tall, worn top hat. Louis Comte, a French magician in 1814, was the first to use the top hat to conjure up a white rabbit. President Richard M. Nixon was the last President to be inaugurated wearing a top hat, and a hat of any kind. A gray topper is still worn in England for Ascot Week at the horse track. 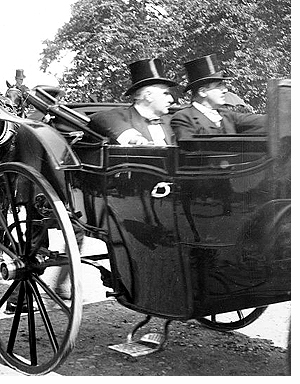 J.P. Morgan ordered his limousine in the early 1900s with an especially high roof so he could ride around without taking his hat off. 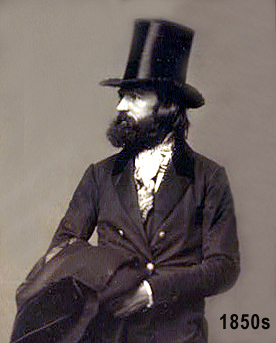 The nick name “high hat” designated arrogance and snobbishness. 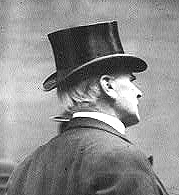 For refined, self-assurance, men would wear top hats tilted at a 10 degree angle, no more, no less. 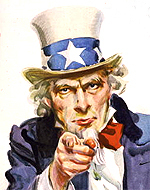 The U.S. Uncle Sam wears a top hat. 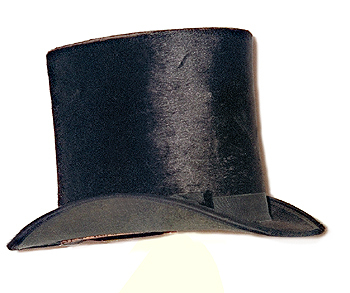 Rock star, Alice Cooper was known for his signature top hat in My Nightmare phase. Monopoly used a top hat token as one of its original game board pieces. The Penguin, one of Batman’s enemies wore a top hat. 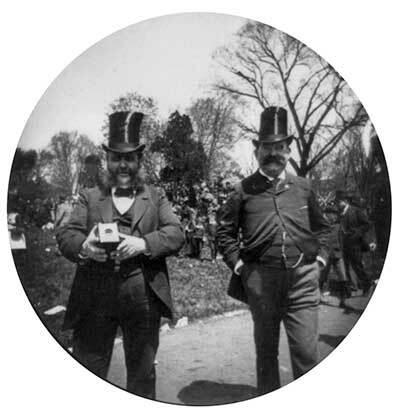 The "Mad Hatter" in Alice’s Adventures in Wonderland wore a top hat. Harpo Marx wouldn’t be seen without his top hat. And of course, Dr. Seuss’s Cat in the Hat brought mischief to two lonely children with his top hat.